Take your career to the next level. The more energy and attention you invest in it, the greater the yield. Inductions and trainings are available for new employees and for employees moving into one role to the next higher role. We provide a vertical wise comprehensive and well-planned induction to ensure long-term effectiveness. Our employees have embarked on the journey of talent segmentation to identify high potentials, recognize them and provide them with a development plan to grow their career with the organization. 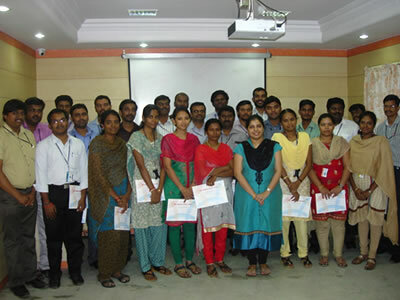 Enhancing quality management system by imparting Internal Auditor Training.